I’m writing this story not to be condemned or for validation but to share that I have made a painful decision to put down a dog. This is a path I have been on before but never for this reason. I’m writing this story not to be condemned or for validation but to share that I have made a painful decision to put down a dog. This is a path I have been on before but never for this reason. When we take on ownership or guardianship of an animal it also means we take on responsibility for the welfare of not only the animal’s life but the people and other animals it interacts with. When, in this case, my dog proves over time (five years) that he cannot be trusted then it is time to say goodbye. I am not like others who simply decide to rehome a dog with a problem. That is shirking responsibility and shoving the problems onto another person. This was not a dog that was mentally incapable of earning an OTCH or MACH or becoming a herding champion. But he was born with severe hip dysplasia. I was his third home. The first person did not think him mentally capable of earning an OTCH. He was in fact a very trainable, intelligent animal. Were he genetically sound he would be well on his way toward earning advanced titles. But the original owner gave him to a second person, who is good at finding homes for Border Collies. She called me and I fell in love with the little 7 to 9 month old white and black dog. Upon neutering the dog, a hip x-ray showed very bad hip dysplasia. The funds to have double hip surgeries were not available to me and thus were never an option. The dog loved living with my two other dogs and pack life was fun and easy. Over time though three dogs in a little home brought some tension, and growling and snapping ensued with the white and black dog always the instigator. Yes, all my male dogs are neutered but that does not remove aggressive tendencies altogether. I made a decision to move to Florida where the three dogs would have two acres to run around and use up their extra energy. Perhaps the extra running hurt the little dog’s bad hips and dogs, of course, have no way of letting us know they are in constant pain, unless they limp or don’t eat. The little dog did neither. But his attacks against the middle dog grew fiercer and fiercer. The little dog was trained at a local obedience school where I work. Thinking he was ready to go on the road and show along with my star obedience dog, I took the two young dogs to a trial in Mississippi. They both were stellar travelers; no problems in the car, hotel room or ringside in crates. But once outside the crate at the show, in the parking lot, the little dog decided to try and seriously attack a friend’s Boxer. It was an attempt that would have done damage had both of us not been diligent about our dog’s stares. I took my dog into the Beginning Novice B ring where he worked two days of decent scores, 188 and 191. But standing in the ring waiting for his ribbon my dog decided to posture toward a German Shepherd. After thirty plus years of showing I did not need to be on the tail end of a disciplinary committee for having an aggressive, out of control dog. Thus ended the little dog’s show career with a CGC and two legs on a Beginner Novice title. Once home again the little dog one day seriously attacked my obedience dog, putting a quarter size hole near his eye on one side and a bite in the same location under the other eye, as well as biting a notch in the other dog’s ear. How embarrassing it is for me to have others see my dog’s battle wounds and yet say I am a dog trainer. What were the options available to me? I could put the little dog on medication for his bad hips and hope that helped his temperament. I could put him on medication to calm him down to the point he would be loopy and quiet. I could put a hot collar on him and set up a situation where I could correct him for fighting. But I asked myself what kind of life does that leave for this dog? He is usually so intelligent and kind and loveable to me but has in fact tried to bite me when I touch his feet or comb his tail. There is a genetic temperament problem that isn’t going to go away. He has also chased and nipped at the neighbor’s kids along the fence line, which neither of my other dogs do. This little dog is a liability in the true sense of the word. It was time to make the ultimate decision, which was to end his life and let him be out of further pain and anger. It was a painful decision for me and one that should never have to be made. For those of you who have read or heard about Jon Katz Border Collie, Orson, you know the angst he went through when he also made the ultimate decision. It has taken Katz years to finally come to terms with that dog’s death. A dog’s life is important but we hold the ability to end it when pain or aggression makes it unable for the dog to live a fruitful, happy life with us. This is my decision and it was made on December 6th. I kissed his warm muzzle as he lay on the vet’s table and promised to see him again in heaven. May you rest in peace, Mickey! 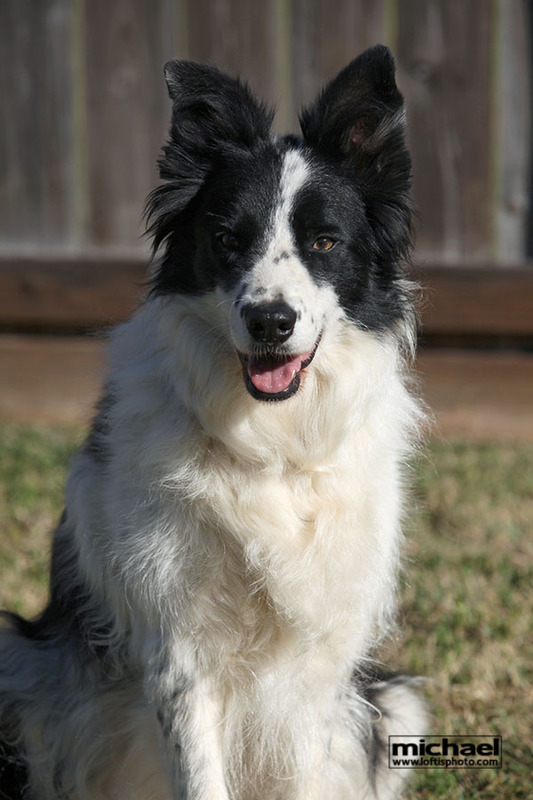 This entry was posted in border collies, Dog training and tagged Border Collie, Hip Dysplasia. Bookmark the permalink. I am sorry Claudia that you had to make that decision. Yes, I had to make it once and it is not easy but as you say we have to make the ultimate decisions. My thoughts are with you during this tough time. I’m really sorry, Claudia. It’s a position we all hope we’ll never be in. You handled it with courage.